A one-time member of the white separatist terror group The Order has died in federal prison. Gary Lee Yarbrough, 62, passed away early Monday morning at the United States Penitentiary, Administrative Maximum Facility in Florence, Colorado, a facility best known as Supermax. 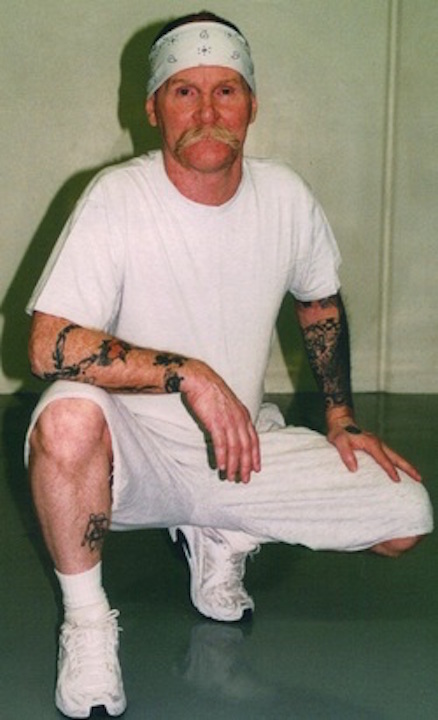 Yarbrough, who was scheduled for release from prison on October 28, 2024, was one of three surviving members of The Order incarcerated in federal prison. The others, 66-year-old Randolph George Duey, and 70-year-old Richard Scutari, are scheduled for release from prison in 2043 and 2025, respectively. Another member of The Order, 55-year-old David Tate, is serving life in prison at Southeast Correctional Center in Charleston, Missouri. He was convicted of fatally shooting a state trooper in 1985. Yarbrough had been ill in recent months as he pushed for parole from federal prison, but his efforts kept failing because of his ties to white supremacist groups. While he publicly disavowed any association with the groups, neo-Nazis and white supremacist continued to push his cause and claim allegiance to him. Arkansas neo-Nazi Billy Roper, who claims a long association with Yarbrough, posted updates about Yarbrough on the alt-right social media site Gab, saying on Saturday that the inmate’s family was visiting him at the prison hospice. “He is calm and brave to the end,” Roper wrote. Susan Yarbrough wrote on a blog and Facebook that Gary Yarbrough was diagnosed with cancer and likely didn’t have long to live. In the last letter his wife posted on a blog, Gary Yarbrough talked of his remains being placed at a memorial cairn — a mound of rough stones built as a memorial or landmark, typically on a hilltop or skyline — in Texas. Yarbrough, the one-time security chief for Aryan Nations, wrote that dirt from the graves of Robert Jay Mathews, the founder of The Order, and David Eden Lane, the spiritual and intellectual backbone of the group, would be placed at the memorial, also. “More details will follow after my passing over these bars to the stars,” Yarbrough wrote. The group funded operations by robbing banks and armored cars with the goal of dividing the United States along racial lines, with white people setting up a separate country in the Pacific Northwest. The Order was also identified as the group responsible for the shooting death of Denver radio host Alan Berg. No one was ever charged with shooting Berg, but Lane, a founding member of The Order, was sentenced to 190 consecutive years in prison for his role in the death. He died in prison in 2007. And, the FBI identified a gun found in Yarbrough’s home in Sandpoint, Idaho, as the weapon used to kill Berg. The Order, also known as Der Bruder Schweigen (aka The Silent Brotherhood) fell apart in 1984 after at least two associates became federal informants. Mathews died in a gun battle with federal authorities that led to a fire that burned down the house where he was holed up on Whidbey Island, Washington. Multiple other members were sentenced to long stretches in federal prison for a multitude of crimes. While the group dissolved three decades ago, it remains somewhat influential in neo-Nazi and white supremacist circles. At times, rallies were held calling for Yarbrough, Scutari and Duey to be freed and web pages popped up over the years seeking an end to the men’s imprisonment. On the alt-right social media site Gab, several people posted memorials to Yarbrough. “Your sacrifice & those of other Order members shall not be in vain. Hail Victory!” wrote Norman Spear, who list “Guerilla Mindset” as his biography on the site. “To paraphrase The Havamal... ‘Cattle die, Kinsman die, and one day too we all must die. But one thing that never dies is the fame of a dead man's heroic deeds.’ Hail Gary Yarborough and Hail The Order!” wrote WalowinPir Gilliam, who described himself as “Folkish ancestor worshipper. Bleeding heart Ultra Nationalist. Ethnic Monarchist. ANTI-SEMITE. Anti Christian. Pro-European” on Gab. Yarbrough was known to write letters from the various federal prisons where he was held over the years, including in December, when he shared a series of memories about Mathews and the work of The Order.